Saturday September 12th, Helm Auctions is putting up just over 200 lots to kick off their Fall auction season with carefully procured consignments available to the highest bidder. 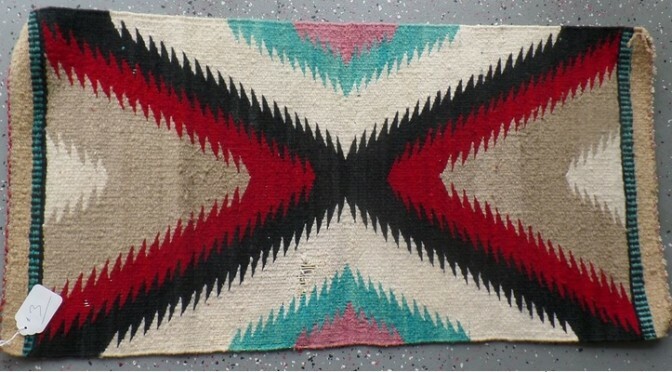 This auction consists of a collection of Native American baskets and beadwork, jewelry, kachinas and dolls, paintings, pottery, weavings, and some Pre-Columbian artifacts. Also included are some African items; plus weapons, beads and other treasures. There are Pre-historic items including stone artifacts such as arrowheads, axes, and knives. Helm Auctions has carefully selected many items that will make for highlights in this auction. The auction sets off quickly with a beautiful mask up for grabs at Lot 12. A Northwest Coast Frontlet Mask circa 1930’s that is possible from the Haida is ready to be transferred to a new collection. This mask is made from wood and paint with measurements of 12 ½” by 10” by 9”. It is important to view the array of photos on this item and it it’s value could be up to $1000. A beautiful set of moccasins are selling at Lot 16. The pictures in the online catalog show what these are all about. These are beaded moccasins believed to be dated around the 1950’s. There are close to new and made from horse hide and glass beads. The set are possible Sauk/Fox and measure 11”x4”x3 ½” and are valued up to $500. The best set of dolls in the auction are at Lot 33. Here are a pair of 1920’s Skookum Dolls that measure approximately 16” tall. The Navajo male and female dolls have braided hair and are both wearing blankets. The female doll has a papoose on her back, and also has a necklace and earrings of wood beads. These types of dolls are very hard to find and will make a standout part of any collection. The bidding is opening at $100 and their value could be as much as quadruple that. Helm Auctions show their auctions live from El Cajon, California. The event will being for live bidding around 1:15PM Pacific Time on Saturday September 12, 2015. 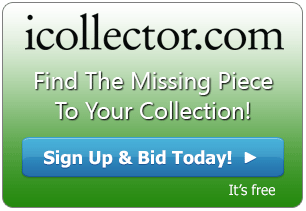 Absentee bidding is available now and bidders can join the live auction from any internet enabled device.